Integrating Demio with Zapier can offer one of the most powerful tools through opening up all kinds of new automation and segmentation abilities with their 750+ different applications found in their system. For this example, we'll show you a simple automation that sends a thank-you email to all participants from Gmail. An integration between two apps in Zapier is called a Zap. A Zap consist two different applications, a Trigger and an Action. Whenever Triggers happen in one app, Zapier will automatically perform the Action in another app. 7. Now we have to create a Zap in order to connect Zapier with Demio. Select a Trigger app to start - i.e Search for Demio and click it. Note: Be careful not to share your API Secret with people outside of your company. If you do, you can always click 'Regenerate' and you will get a new API Secret, but your existing integrations will have to be updated with the new key. 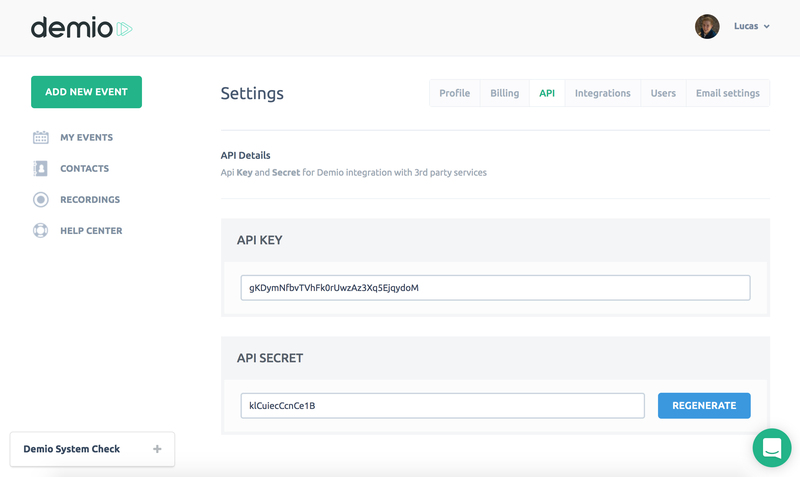 You can now see that your Demio account is connected with Zapier, but in order to Integrate Zapier with Demio, we have to connect this Trigger to an Action. 13. So click Save + Continue. 14. 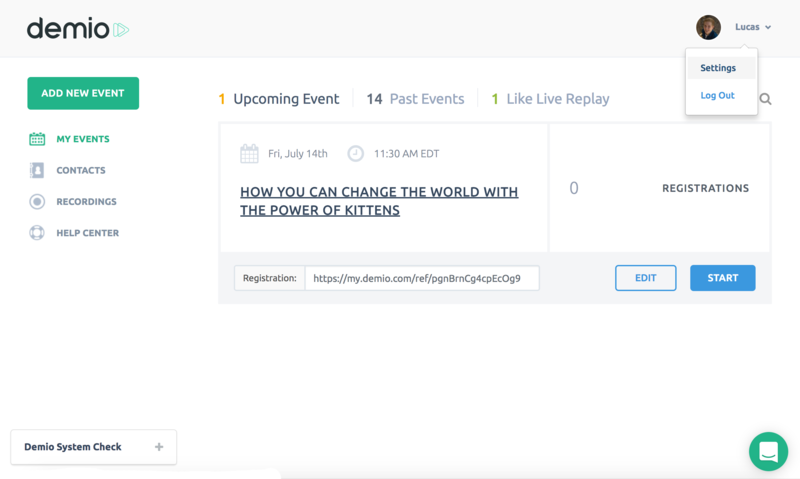 On next step, provide any Upcoming Webinar in Demio that has at least one recent Registration (we need a test registrant to confirm the data is set up correctly in first name/email fields). 15. Click the Continue button. We're done setting our Trigger! 17. On next step, click 'Connect a New Account' and select your Gmail account. 25. 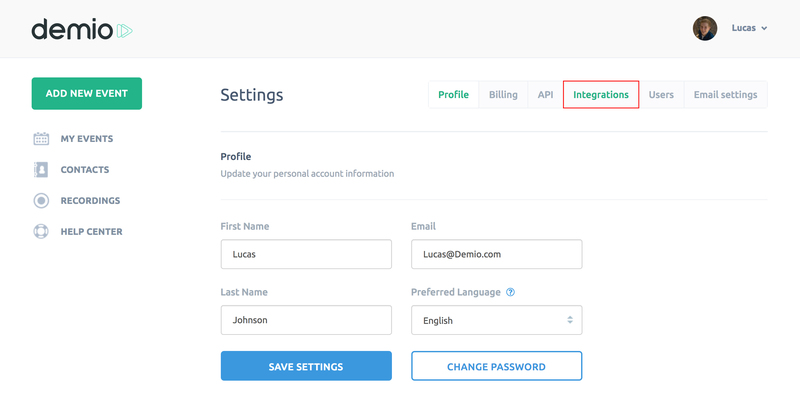 Now you need to go back to your Demio account and check the integration page.